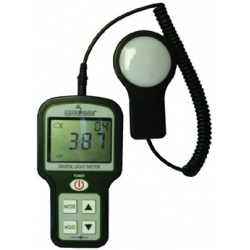 Used and/or refurbished Testers & Meters for your growing needs. Having the correct testers and meters is vital for your grow. Our inventory is constantly moving, so make sure to visit us often if you don't find the model that you need. 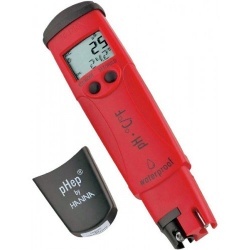 The Champ is a HANNA pH Tester that fits comfortably in your hand and includes a larger LCD which makes it easier to read at any angle. With the latest innovation of a renewable cloth junction the new HANNA meters last much longer. Simply pull out 1-2 mm (1/8-inch) of the junction fiber to completely renew the junction. Calibration is performed manually at 1 point with a trimmer located on the side of the tester. 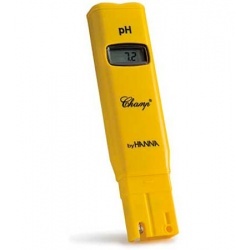 Each pHep4 HANNA pH Meter has a dual-level, digital LCD that displays both pH and temperature (C° or F°). At start-up, the instrument performs a self check then displays the remaining battery level to assure proper working condition. 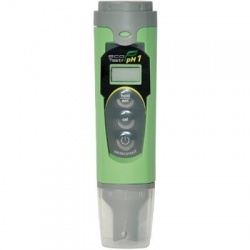 The handheld HI 98127 includes a sensor/ electrode, probe removal tool, batteries and complete instructions. Warranty: 1-year (six months on electrode). Sensor probes do not last forever and will eventually fail. This pH Electrode is gel filled making it maintenance free. It’s designed for use with all Bluelab pens, meters and monitors. No warranty on items sold. Each probe has been tested before shipping. 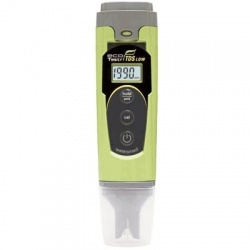 Economical conductivity and TDS pocket meters featuring a large, ergonomically designed display so that you can easily view measurements at a glance. The orientation of the display means there’s no need to turn your head or tilt the tester. Waterproof and dust proof housing is designed for use in dirty and damp field conditions. Convenient, built-in belt/pocket clip keeps the tester accessible when not in use. 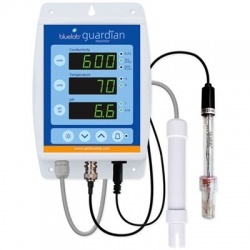 In just one glance the Bluelab Guardian Monitor measures all three critical parameters for healthy plant growth; pH, conductivity and temperature. 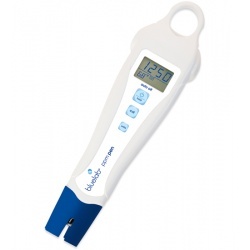 The Bluelab Conductivity Pen is an easy-to-use handheld meter that quickly and accurately measures if your crop is receiving the right amount of nutrients. Use to maximize plant health, prevent nutrient burn and ensure optimum plant yields.